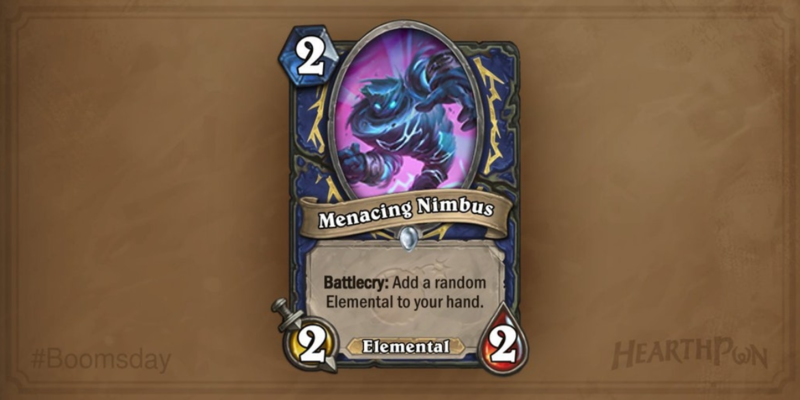 Hearthstone: The Boomsday Project: New shaman card revealed, Menacing Nimbus – AiPT! Card text: Battlecry: Add a random Elemental to your hand. Could this card see play in the Ranked Ladder? It fits into the already popular Even Shaman deck, works well with Hagatha and could place such Elementals as Ixlid, Pyros or Tar Creeper in one’s hand.